Jolene, a teacher at a school in Utah, hurried to get to work earlier than usual, one dry summer morning. Arriving before the other teachers, she expected to get a head start at grading a stack of tests. She did not expect, however, to be alone in a school when it started on fire. 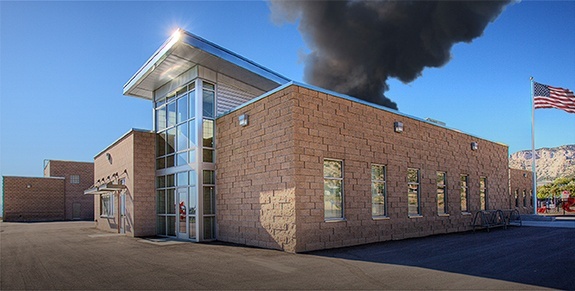 As Jolene was working away at the pile of papers, she noticed plumes of smoke began billowing out of the vents, quickly filling her classroom. For reasons unknown, one of the school’s air conditioning units overheated and caught fire. Luckily no one else was in the building to be injured by the smoke. Unfortunately, though, no one else was in the building to help Jolene figure out what to do. Minutes after the fire started, Jolene received a call from Patrick, an AvantGuard operator responding to the alarm. Relieved, she hastily explained to him that there was smoke everywhere, and that she didn’t know what was happening. She then told him that the police would only be able to access the school through a specific road or they would have to backtrack to get to the correct entrance. Patrick, noting all the vital information, immediately called dispatch and relayed everything back flawlessly, often quoting Jolene word for word. Patrick monitors alarms every day. Only seconds after hanging up the incident with the school, he called on another alarm, to mediate madness for another stranded subscriber.